Going Commando | A SWTOR Fan Blog: Bug Spray, Please! Last week I actually had a good customer service experience! I just think that's worth mentioning since we're always happy to moan about bad customer service; the good times deserve to be called out as well. Basically what happened was that I couldn't log into the game because it kept asking me for a one-time password that I'd never received (and I'd never had problems with getting them before), and yes, I did give it plenty of time, about one and a half hours in fact. In the end I decided to call their UK customer service number, got put through to someone right away, explained my problem and it was all resolved within minutes. Apparently they were aware that there were some issues with one-time passwords, they were working on it, and in the meantime the CSR just gave me one over the phone so that I could log in right then and there. Oh and by the way, would I like to get a security key to avoid any of this hassle in the future? I did give in and finally ordered one after that. I've wanted one for a while actually, but I don't have a smartphone and the physical ones were unavailable in Europe for the better part of a year and only recently came back in stock. Better late than never I guess. 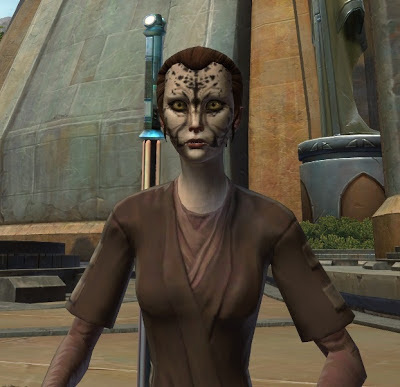 Earlier this week I had a brief moment of panic when I looked at my character selection screen and my beautiful little Cathar with her golden fur was suddenly... very pale. Waaah, what happened to me? At first I thought that her fur colour must've been changed to a different setting or something, but after doing some reading up on the forums I found a comment from Bioware stating that the Cathar fur colour number one was bugged and that they were working on fixing it with the next small patch. Phew. The one issue I've had recently to which I haven't found a good solution is my trooper's crowd control not always working. The first couple of times I thought that it was just a fluke or that somebody must've broken it early, but it's happening pretty much every other op now and I can see quite clearly that nobody else is interfering. Concussive Round just fires, the visual appears to hit the target, but nothing happens to them. Nothing. The combat log says so too. Grrr. I made a post about it on the Commando forum to see whether other people had the same issue, but the replies have been a very mixed bag so far and not really particularly useful. I suppose there are worse problems I could be having, but it's still annoying to be asked to CC things and it being so unreliable. Looks like an albino Cathar to me. Actually, that might prove interesting from a biological standpoint. The albino (or white) gene in the great cats is recessive but does pop up from time to time, just like albinism in people. Makes you wonder if albinism is limited to humans in the SW universe or whether it is more widespread. That's way too much thought you are putting into a simple bug there. 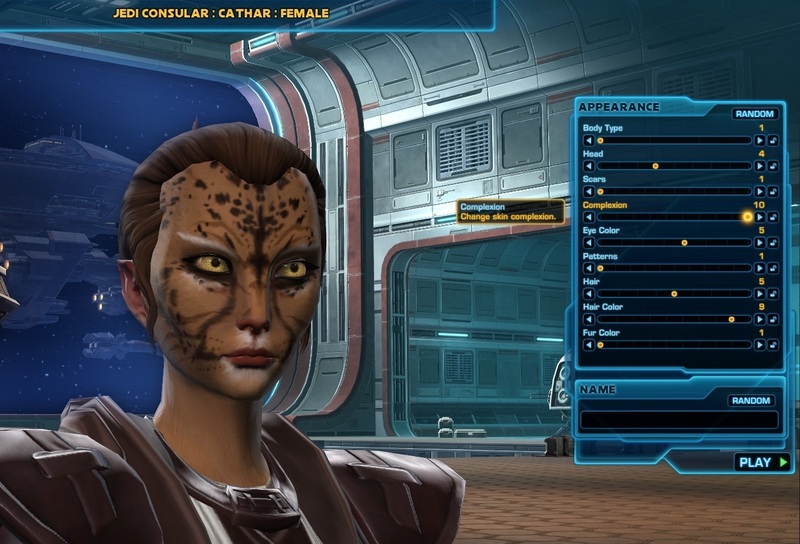 :P And you could make white-furred Cathar before; they are an option. This particular one's just not supposed to be it. Oh, and for what it's worth, I'd bet that the lack of availability of badges in Europe was more due to RSA (the source of most of these badges) being hacked last year than anything else. A friend had exactly the same problem last weekend - he was locked out for over three hours by the email problem. Eventually he gave up and rang but by then it was too late for us to game together. He's opted for the security key as well. I think we both will too since we can't use the smartphone one as preferred status players.